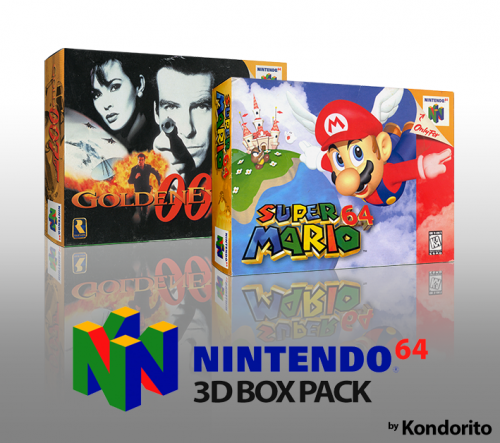 I wanted to make this set since a long time (not only because I loved how we ended up doing the SNES real 3d box pack with SupraKarma, but because currently there is no standing 3d box pack with real spines for the Nintendo 64). This set contains all the USA releases, plus the Europe region locked ones. Huge thanks to @SupraKarma, @adamg and @wallmachine for the Nintandbox source scrapping; it was a tedious job, so I really appreciate your help on that. Fixed Supercross 2000 (USA), as the front scan was rotated 180 degrees. No need to download the whole pack, just the png file and overwrite.